Testing communication receivers requires very low signal levels in the range between -130dBm (71nVeff) and -100dBm (2.2uVeff). Since the electronics inside solid-state sources operates at signal levels between 0dBm (1mW or 0.22Veff) and +10dBm (10mW or 0.71Veff), large attenuation values and excellent shielding of the whole signal generator are required. 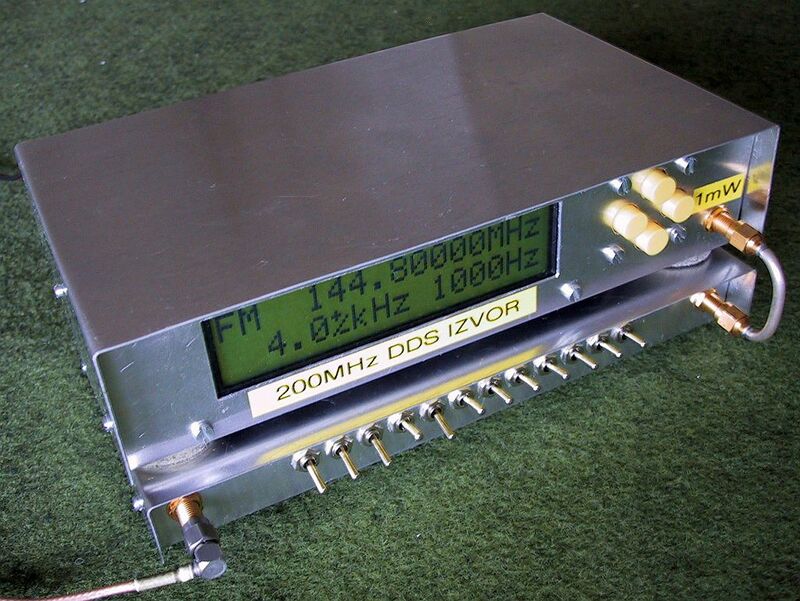 Practical experiments have shown that the overall shielding of the DDS generator and attenuator is sufficient for testing VHF communication receivers without built-in antennas. If the VHF receiver is connected to an antenna, the unwanted signal leakage from the generator is in the one-microvolt range. Most of this spurious radiation comes from the DDS signal generator, in particular from the 12Vdc-supply cable.